Cats pose a serious health risk from intestinal parasites. These worms not only damage your cat’s well-being but also infect you and your family, if not treated on time. Moreover, worming your cat need not have to be just a bitter pill to ingest. 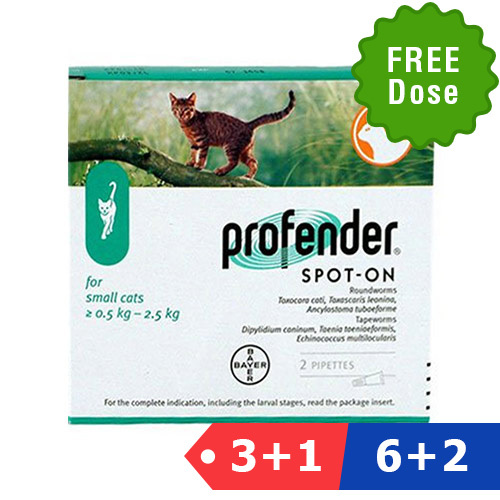 Profender, world’s first-ever topical de-wormer is the best solution for disinfecting cats. It effectively treats and controls parasites that live and multiply in the intestine of cats. One of the most preferable topical wormers, Profender is a powerful broad-spectrum treatment for de-worming cats. This spot-on solution effectively treats all types of gastrointestinal worms. Profender disinfects cats successfully and kills all infective stages of tapeworms, hookworms and roundworms. In just one application, this de-worming solution kills parasites in the internal tract of intestine, ensuring proper health of your pet. 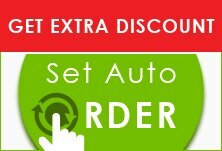 This very easy to use solution is effective on multiple worms except heartworm. An excellent product that efficiently whips away whipworms. I had read mixed reviews about Profender. Using that as awareness, I did make sure I had my cat contained should I need to intervene with shampoo and towel ready. What I did do, was make sure I followed the directions. I placed the correctly sized product at the BASE of the SKULL. (Some photos of bad reactions show that the product was applied way too low by shoulders or mid back) I spread the spots out into three little sections about ½ inch apart. My cat had no reaction to the product. He could just feel that something was there but didn’t obsess about it. The product dried white by the end of the evening and just dissipated. I did indeed see dead worms in his stool the next day. Reading the package information, they state that in testing they had a 1-2% reaction rate. That in my perspective is wonderful. All the information is on the package insert. When I spoke to my vet, he also agreed that in all, the product, when used correctly performs within normal expectation. There are a lot of uncontrollable circumstances and each situation unique. Any product, medical or otherwise cannot be 100%. That is just an unrealistic expectation. My heart does go out to those who have had trauma in any situation. Please, however, don’t throw the baby out with the bathwater, but look at the whole picture. Perform your own research and then decide if you feel it is a calculated risk worth taking. Like I said, there are a lot of uncontrollable circumstances and each situation unique. Any product, medical or otherwise cannot be 100%. That is just an unrealistic expectation. It has worked consistently every time I have used it on my cat. Within two days after application, all the worms were gone!! I recommend this to everyone.